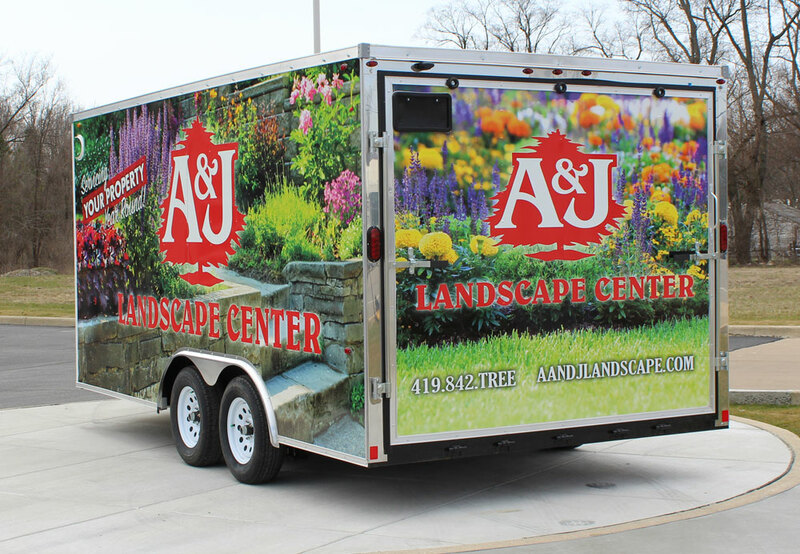 Enclosed trailer graphics are a great way for businesses to promote products and services. 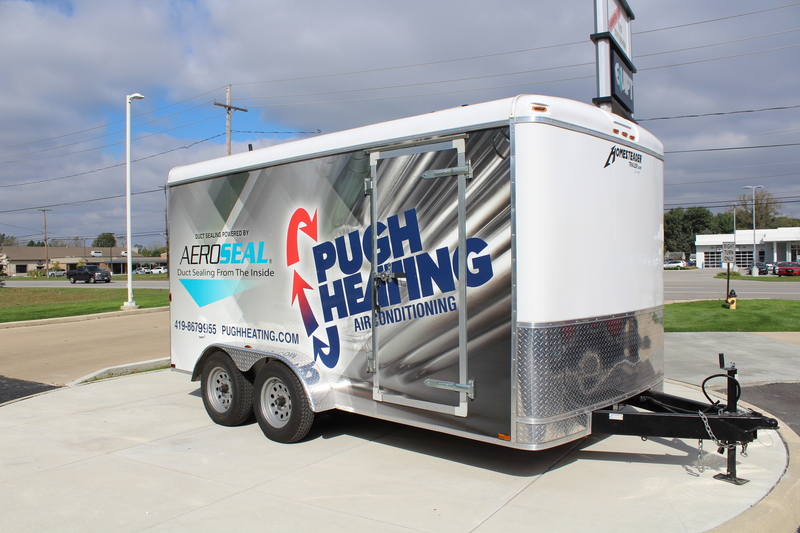 The cost effective form of advertising turns your enclosed trailer into a mobile billboard. 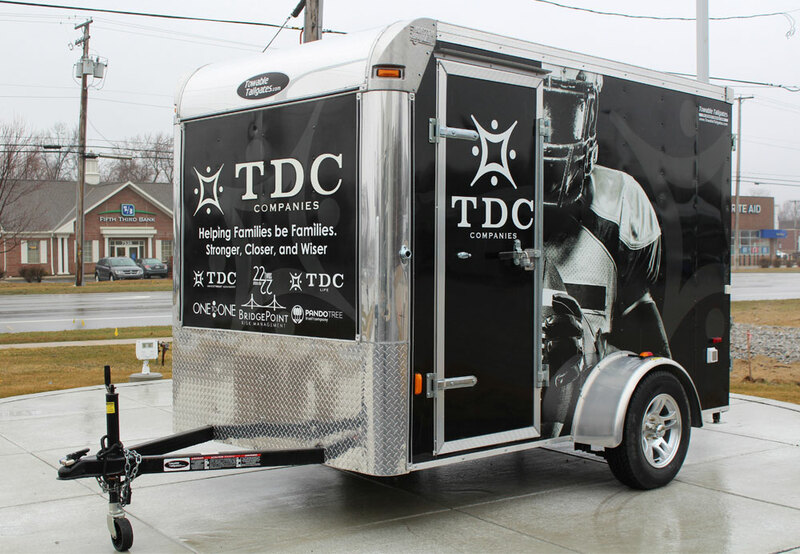 Enclosed trailer graphics are a cost effective and powerful way to promote your company’s product or service. 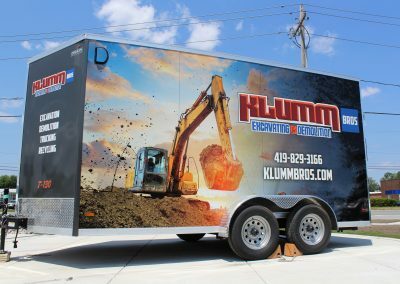 Whether you are driving to or from a customer’s location or parked at an event or job site, trailers get a lot of attention. 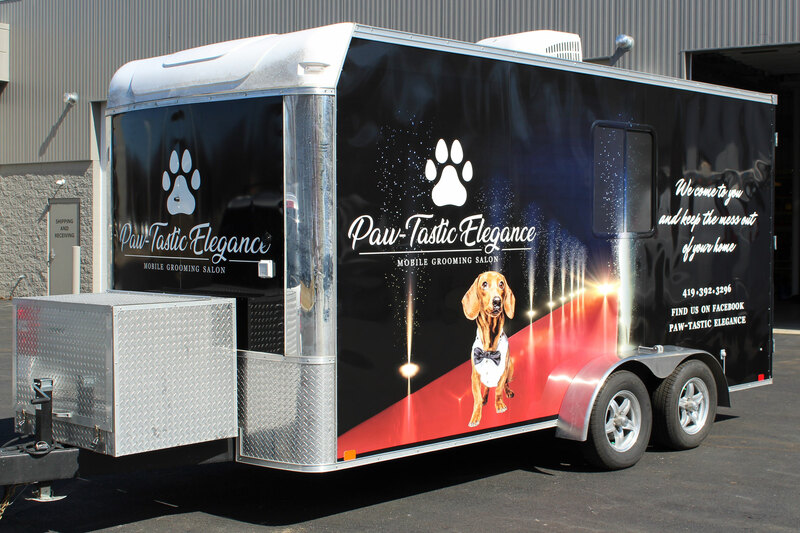 EQUIPT Graphics can help you plan a design for your enclosed trailer graphics that tells just the right story. 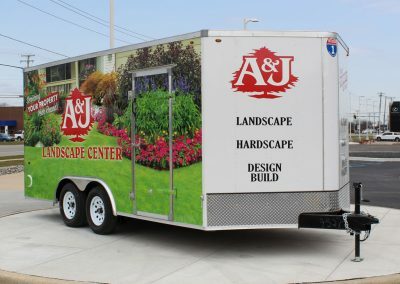 What is the trailer’s use? 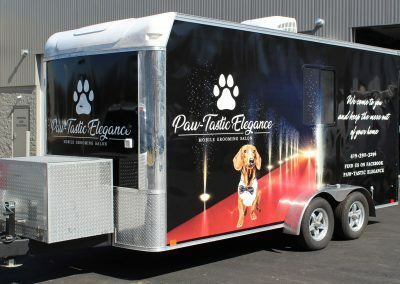 When planning your enclosed trailer graphics design, we will spend time with you to understand the use of the trailer. 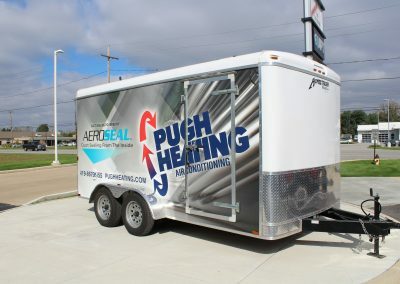 The way you advertise on a trailer that is mostly stationary might look different than a trailer that is always on the move. How long will you have the trailer? The amount of time you plan to use your enclosed trailer graphics impacts how you design the creative, and what type of products we would recommend for the graphics project. 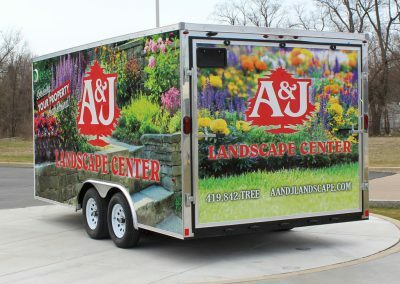 For example, if the trailer is intended to take your products on the road to summer events we might consider a design specific to that purpose. If the trailer is one that you will be using for 5-7 years, we would talk about how frequently your advertising may change and discuss products that maximize the life of the enclosed trailer graphics. What are you using to pull the trailer? 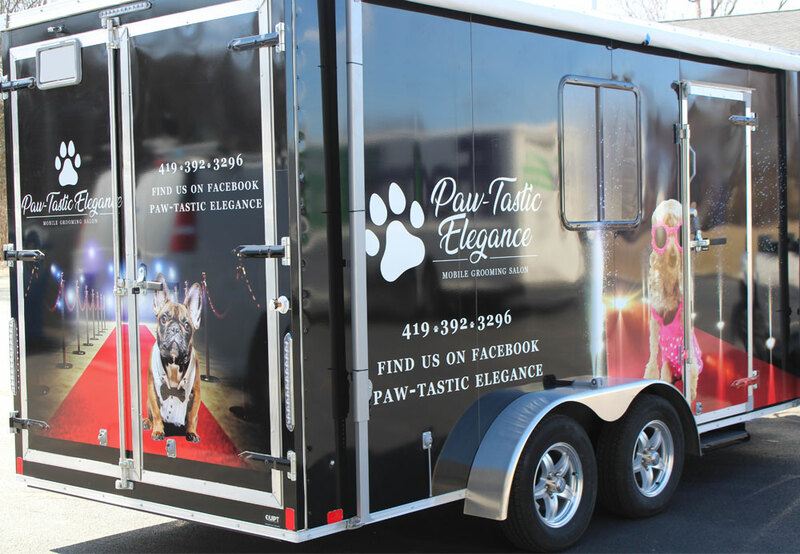 Having a great enclosed trailer graphics design can be offset by a vehicle that doesn’t match. 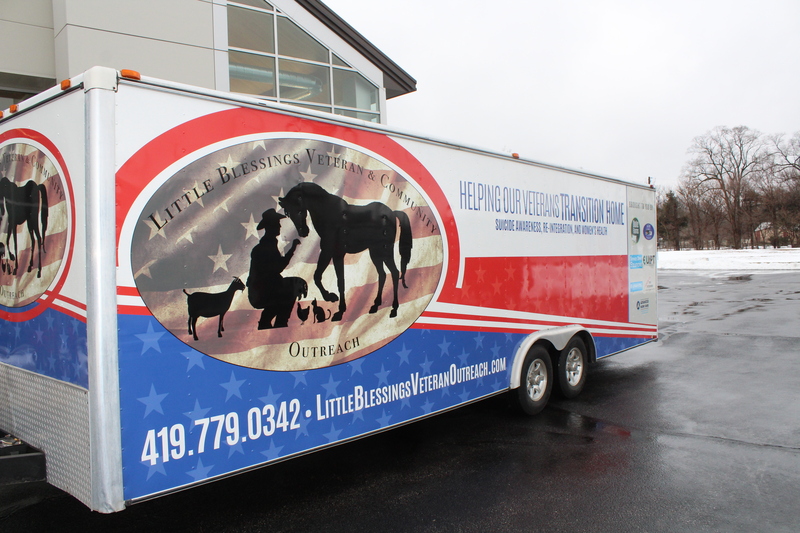 We can look at the vehicle used to pull the trailer, and offer recommendations on how a comprehensive design will improve the appearance of your brand. 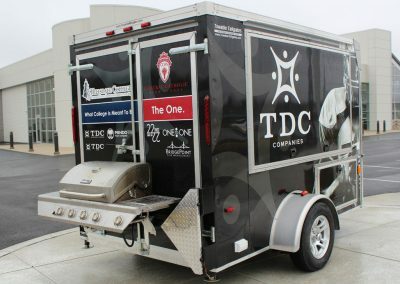 Does the trailer have a side door? 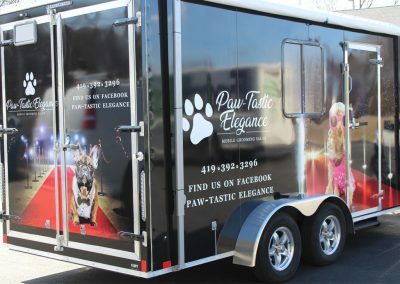 Side doors on trailers can disrupt your enclosed trailer graphics design if not properly planned. 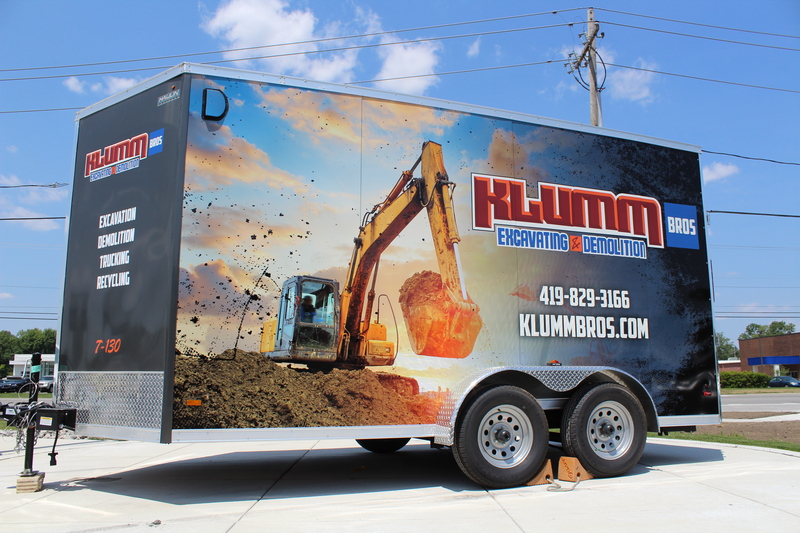 EQUIPT Graphics will evaluate your trailer and design specifically for the size and type of trailer you purchased. This prior planning helps avoid any unwanted surpises during installation. 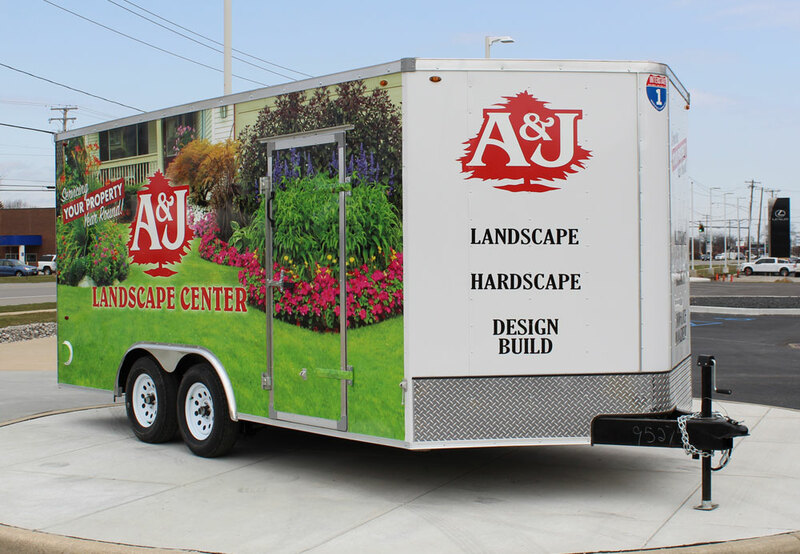 Contact EQUIPT Graphics to discuss your upcoming enclosed trailer graphics project to get started with a complimentary design consultation.